As news comes in we will post it further down this page - click here. 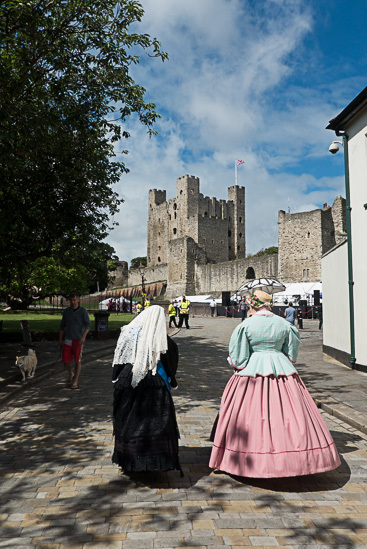 A one day -pop up shop selling costumes and accessories for the discerning Victorian ladies and gentlemen attending the upcoming Dickens Summer Festival. Tickets are now on sale. 'Earlybird' tickets are priced at £22 until May 17th, including a meal of a summer quiche salad and 'nibbles' to get you through the evening. After that date the ticket price goes up to £26 until the close of bookings on May 27th. There will be dancing in all styles to the local 'Mixed Feelings' band, who went down a storm at the Mistletoe Ball, a pay bar, some entertainment, and quite a few surprises! The evening will be themed as 'A Day at the Seaside', and as well as posh Victorians we are hoping to see Victorian day trippers, pirates and sailors. 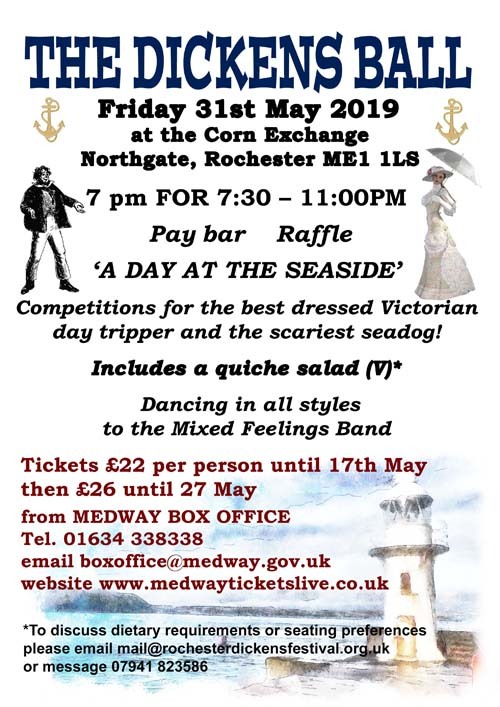 There will be competitions for the best dressed Victorian and the scariest seadog. Tickets are available from the Medway Box Office in person, by telephone on 01634 338338, or from their website www.medwayticketslive.co.uk . Click on the 'download' button to download a full resolution poster. We have some advance news that might affect some people's plans - we understand that this year there will be only one parade - the Grand Parade at 2PM each day. We expect more detailed information nearer the event, and we will update our links as we hear. News of similar events round the country will be posted here as they become available. 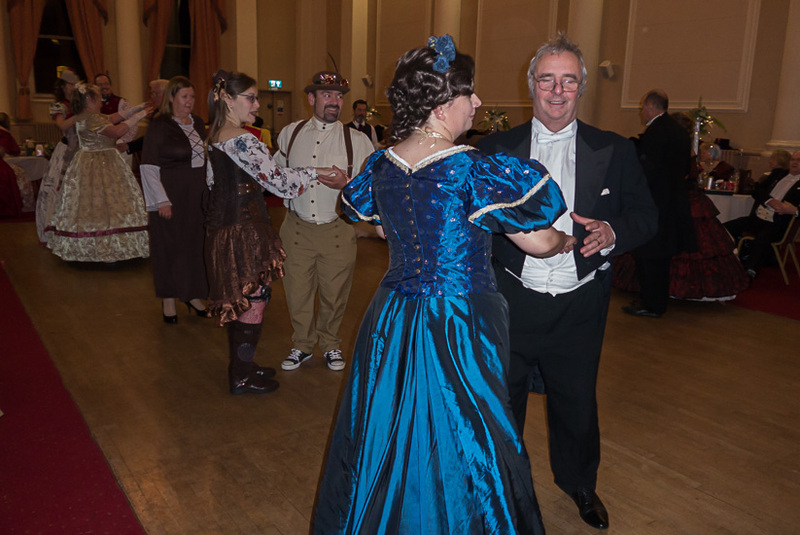 The 'Victorian Strollers' website has an events page for most of the country.